After all the parade and the free (5000) five thousand decoders given out by Tstv last year as a promo yet they failed to keep to their words. Many people were expecting them while many people has throw away their Dst* decoders just to welcome the coming of TSTV 😃 but what they all get was bunch of disappointment, too bad, anyway let's talk about the new Sassy decoder. The Sassy decoder is very much affordable, we guess this is Easter promo few days ago Dstv also give 64% off of decoder and subscription. Before now, they offered the decoder, Dish + Remote for N5,000. But now, the new Sassy decoder —"Remote + Dish" is going for just N3,500 only. It's really cheap, no doubt, but people won't find it interest in it because tstv has fail to keep to their words so many people has given up on TStv, except you are using a free to air decoder that can view all TSTV channels free of charge. Meanwhile, there's no official statement regarding the free 20GB or 10GB data that accompany the decoder when you buy one. TSTV states, that Sassy Decoder will go on sale on the 1st of April 2018. There's no word nor states or location where the decoder will be launched. This how they keep promising till 2017 passed, and now they are up again with another date to sell Sassy Decoder anyway let see how it goes. 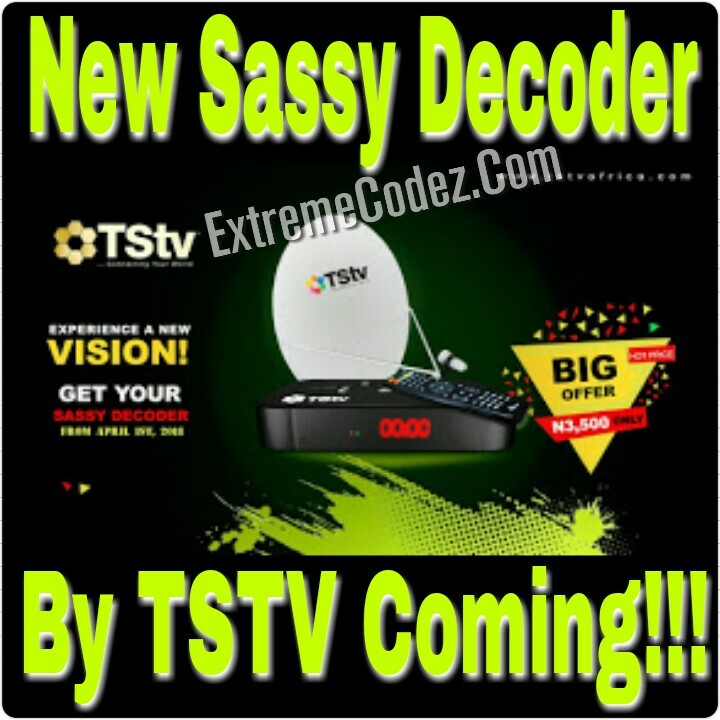 TSTV states, that Sassy Decoder will go on sale on the 1st of April 2018. There's no word nor states or location.